Wladimir de Terlikowski was born into a noble family in Poraj, Poland near Warsaw in 1873. 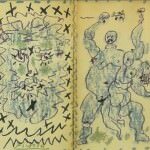 He made multiple attempts to run away from home during his youth and was eventually successful, making it to Danzig on a barge around the age of 15. 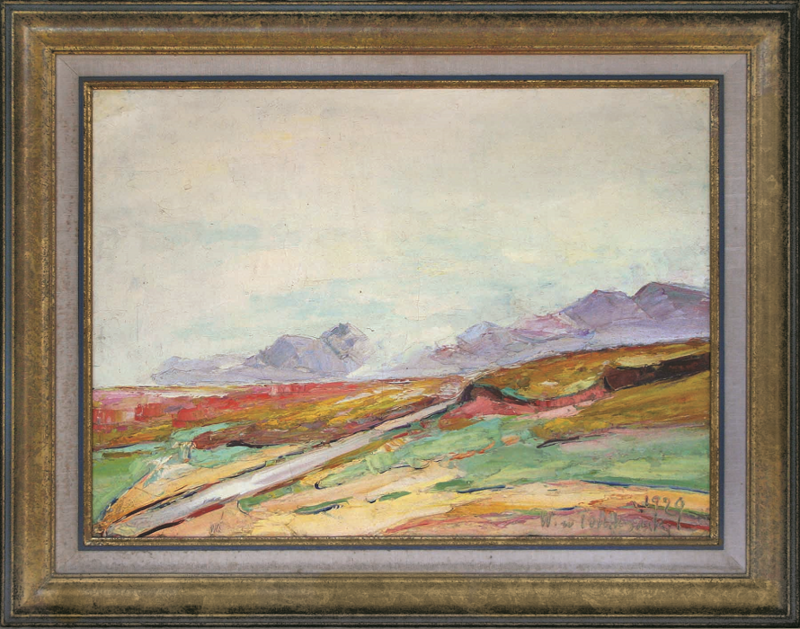 This journey marked the beginning of the painter’s life of travels, his conduit of exploration of the artistic world. 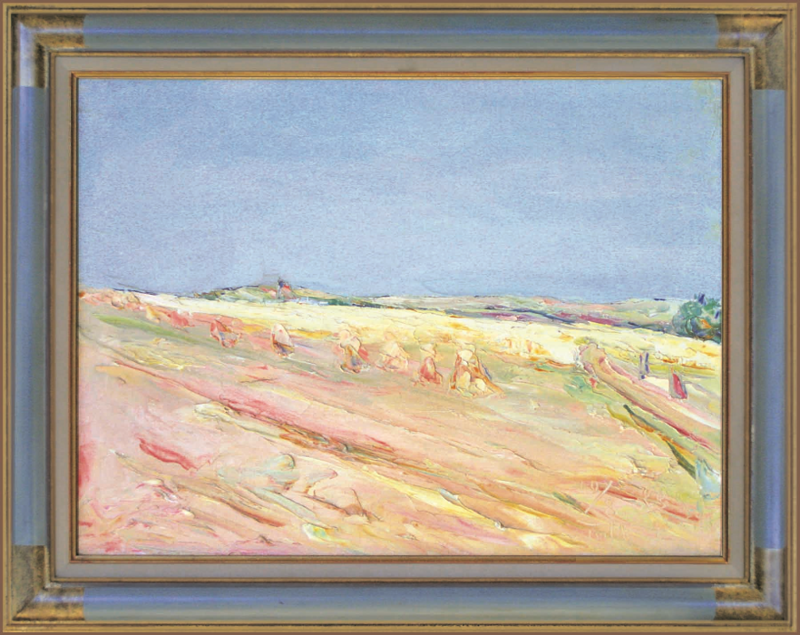 Early on, Terlikowski spent time in Munich to study at the Academy of Fine Arts. Although his enrollment there was brief, it led him to move to Paris to assist in the studio of Jean Paul Laurens, where he resided from 1891-1898. 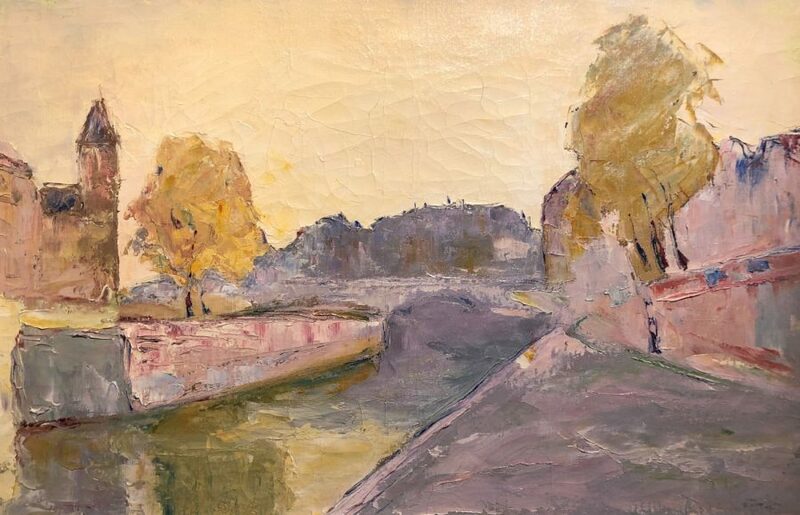 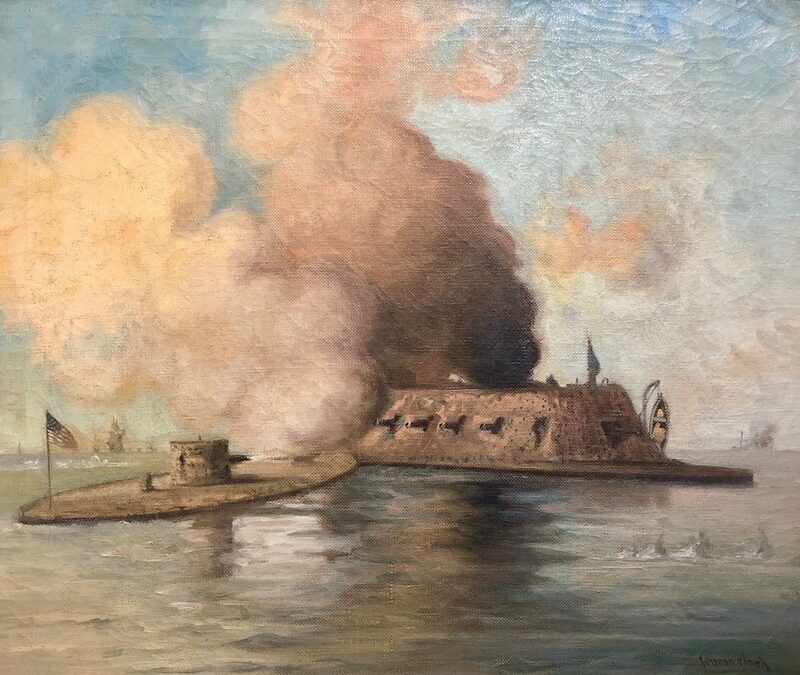 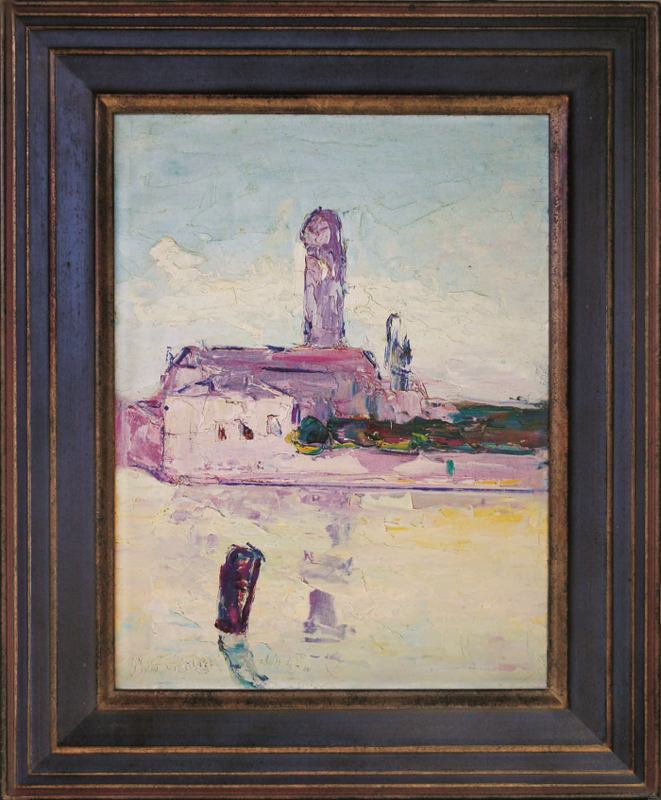 It was here that Wladimir de Terlikowski found his milieu, surrounded himself with talented contemporaries of the School of Paris, and began to make a name for himself as a painter of great distinction. 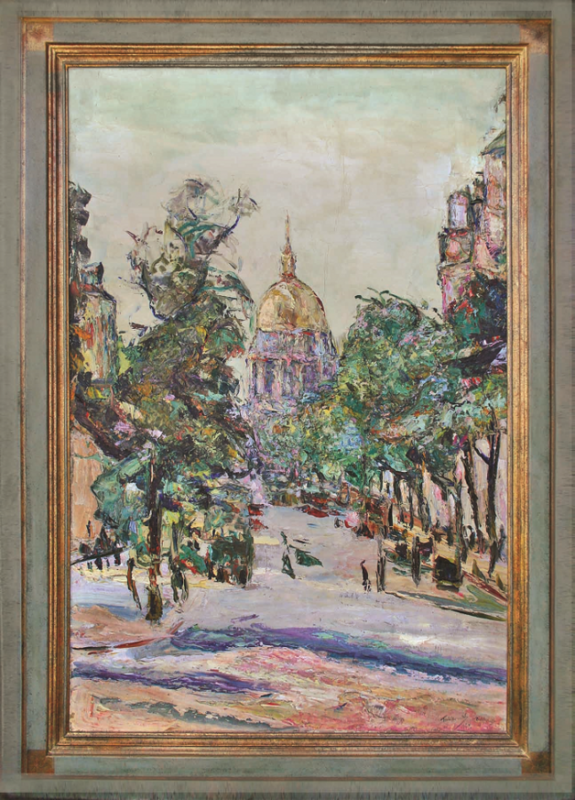 During this period, he settled in Montparnasse, the center of the avant-garde and the heart of intellectual life in Paris at the time. 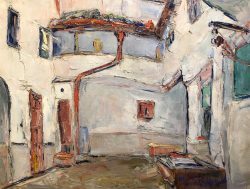 Active artists and free thinkers, including Terlikowski, would gather in cafes at night to share and discuss ideas. 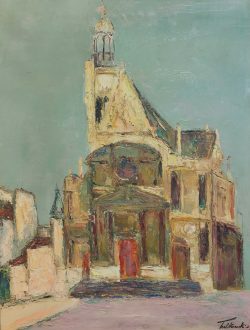 Amongst his peers were Amedeo Modigliani, Pablo Picasso, André Derain, Maurice de Vlaminck, Chaim Soutine, Marc Chagall and Henri Matisse. 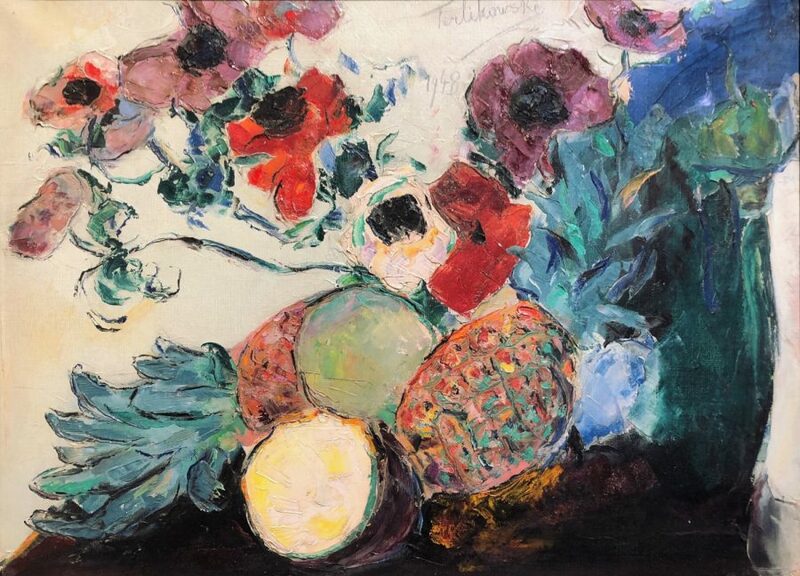 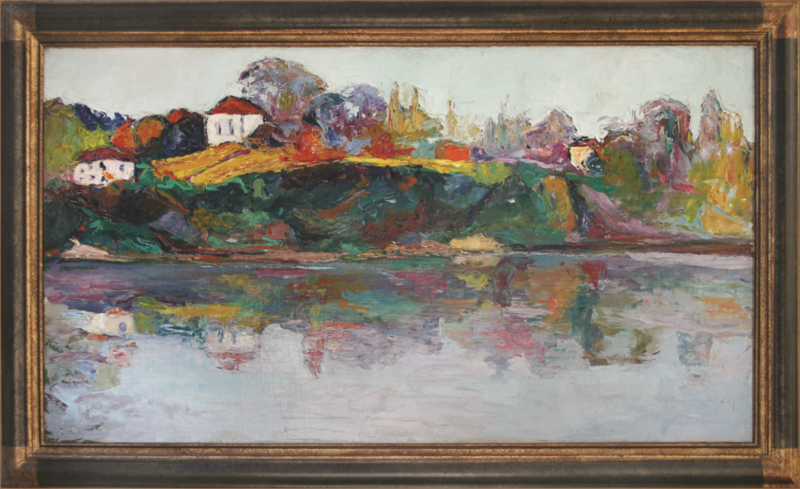 Influences of multiple art movements are apparent in Terlikowski’s work, including Fauvism, Cubism and Impressionism. 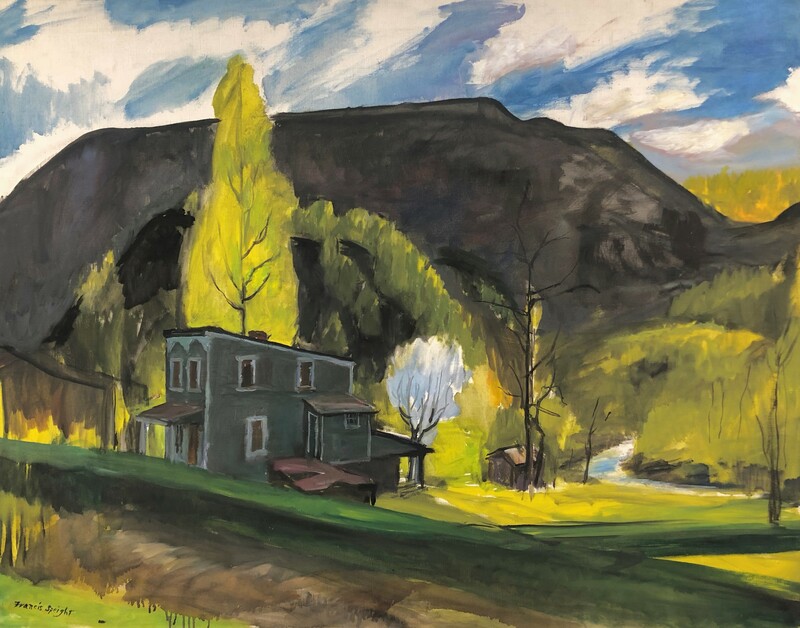 Additionally, Wladimir de Terlikowski was a member of the School of Murol, a group of artists who travelled to paint in the eponymous small mountain town located in Auvergne, France. 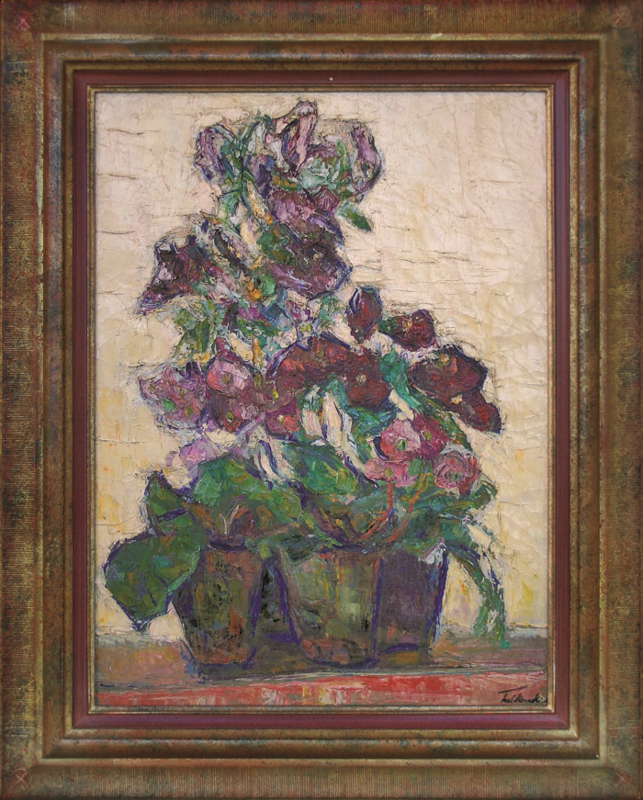 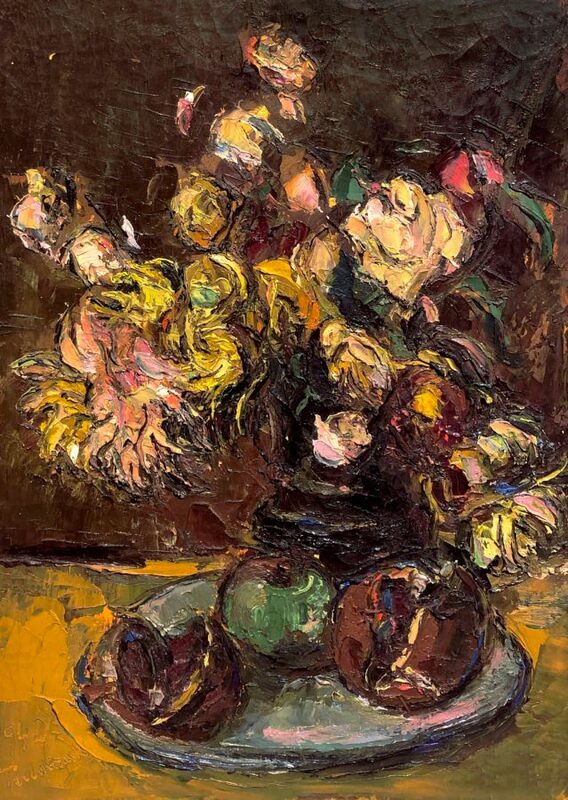 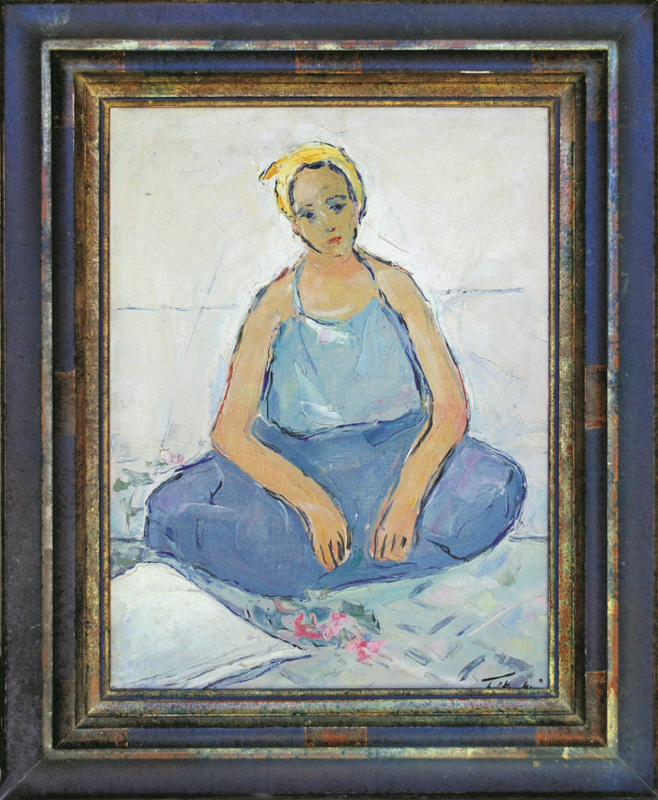 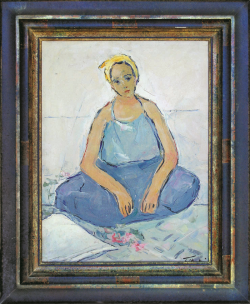 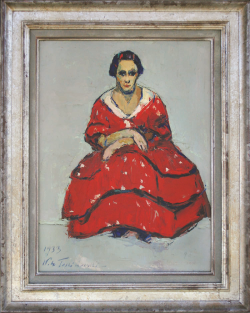 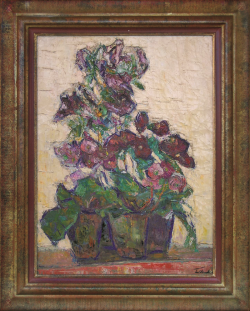 These artists were greatly influenced by Leon Boudal and Victor Charreton (through whom Terlikowski developed his love of sensual impasto), the co-founder of the Salon d’Automne. 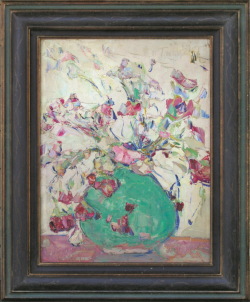 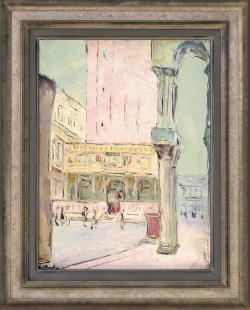 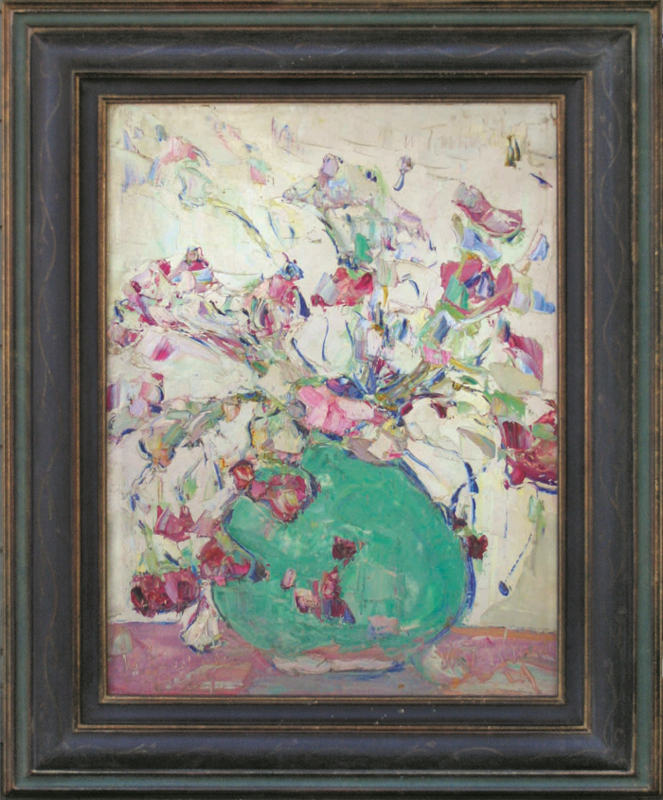 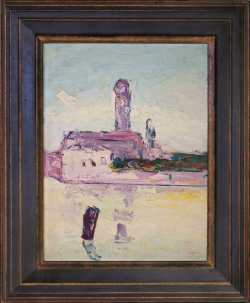 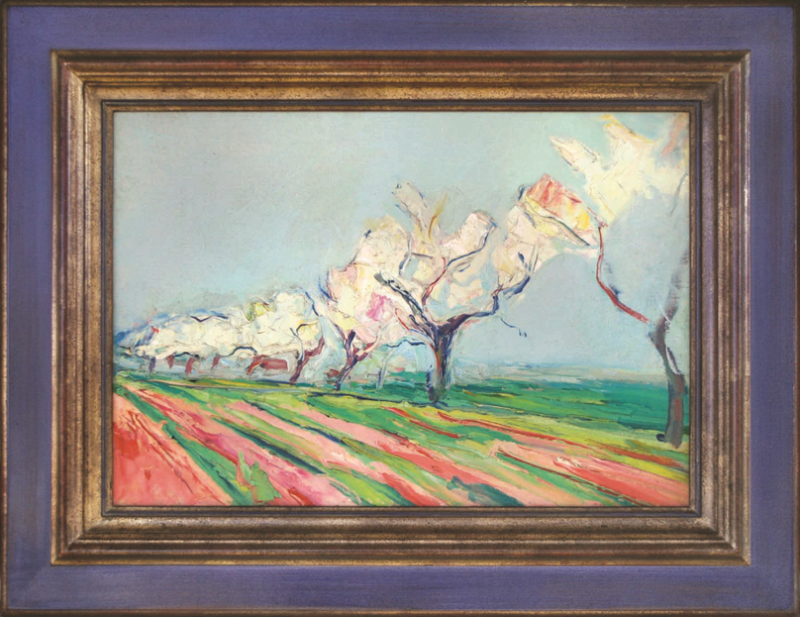 As a result of this connection, Wladimir de Terlikowski exhibited at the Salon d’Automne in 1912, 1913 and 1919. At his first Salon d’Automne, he met his first major patron and was offered a one-man show at Galerie Bernheim-Jeune. 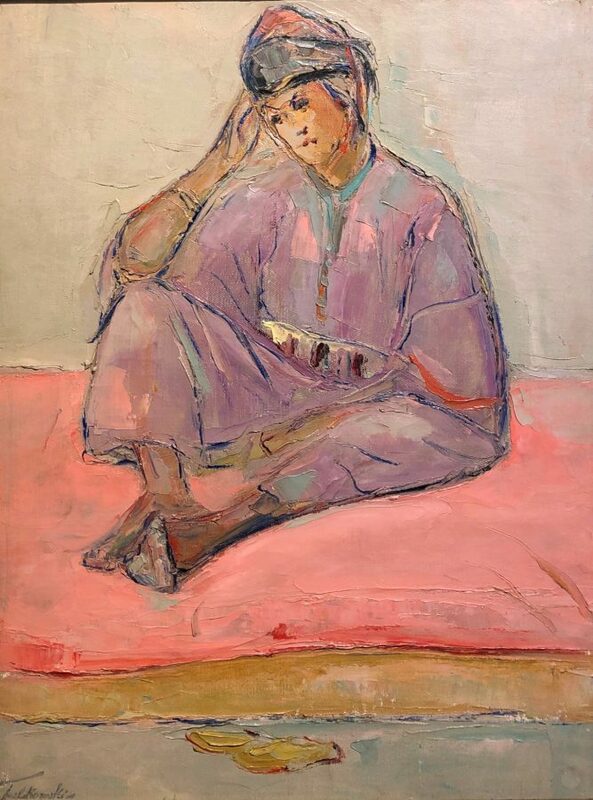 This is particularly notable because Terlikowski’s show immediately followed one of Matisse’s most celebrated exhibitions of Moroccan-inspired paintings at the same gallery. 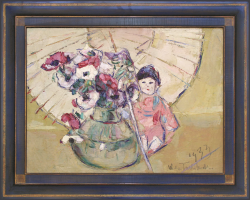 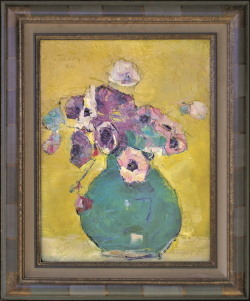 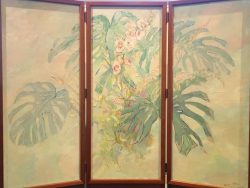 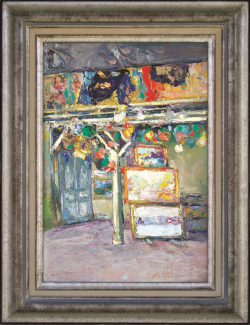 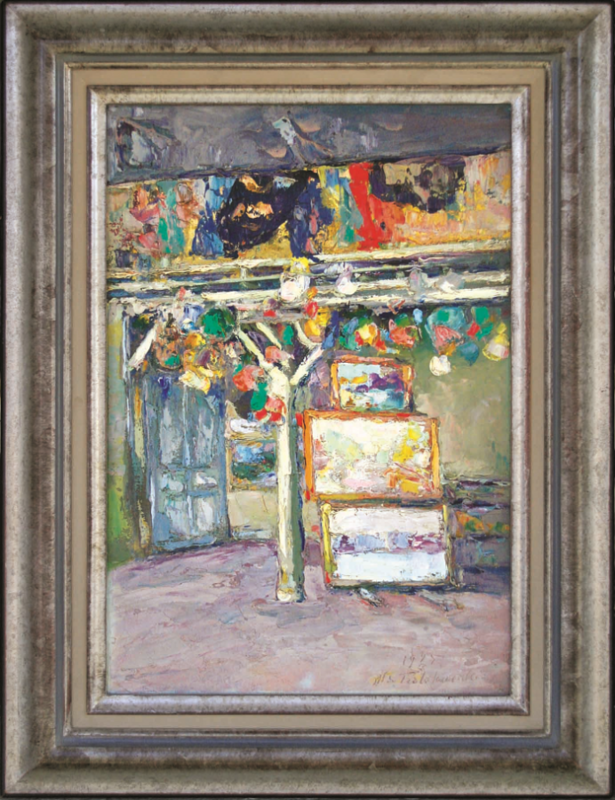 Additionally, in the months following Terlikowski’s exhibit, Galerie Bernheim-Jeune presented shows featuring Edouard Vuillard and Pierre Bonnard. 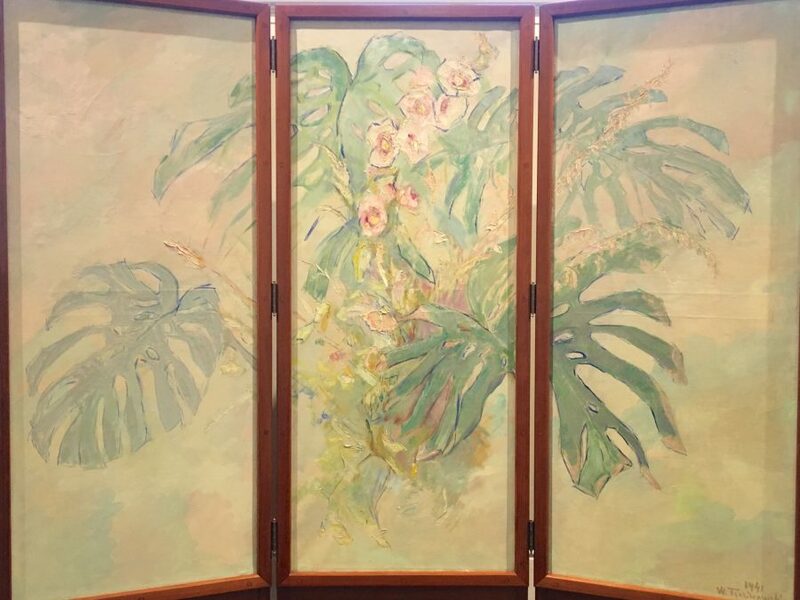 To be celebrated on the same plane as such artists is an achievement to say the least. From 1898 to roughly 1919, Wladimir de Terlikowski travelled frequently, spending time all around the Mediterranean— in the south of France, Italy, throughout Northern Africa— and in London, Russia, Singapore, Hong Kong, New Zealand and Australia, amongst other places. 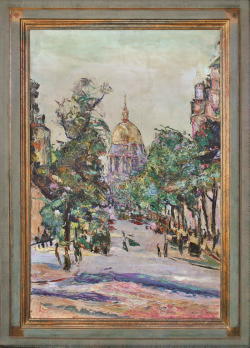 In 1920, he was appointed Chevalier of the French Legion of Honor. 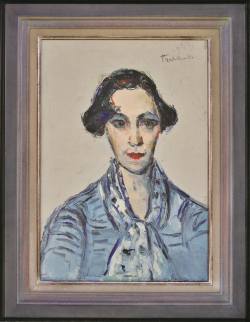 Sooner after, Terlikowski’s marriage to the daughter of the Prime Minister of France in 1924 placed him directly in the attention of aristocratic circles. 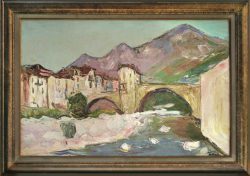 This level of social elevation facilitated even greater professional success, bringing him commissions from palaces, museums and private collectors alike. 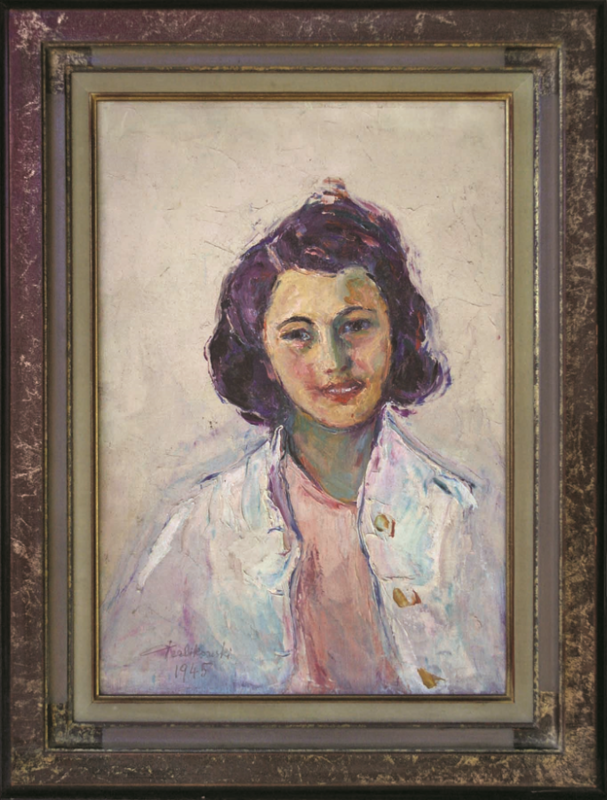 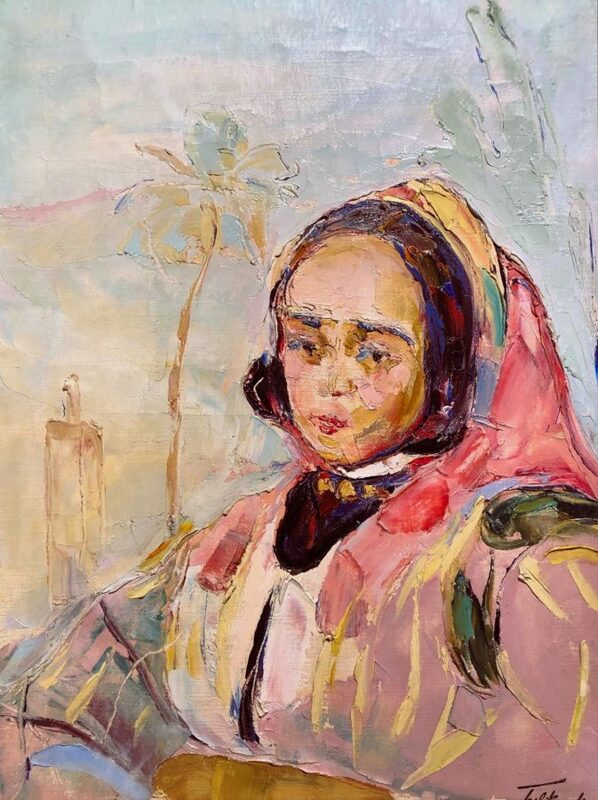 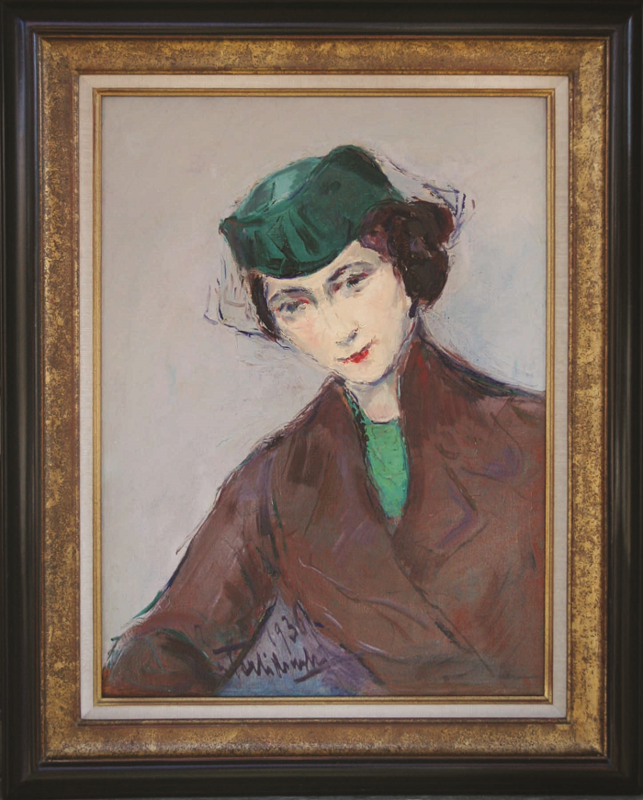 After completing a magnificent body of work portraying Moroccan women in 1933, Terlikowski was promoted to Officer of the Legion of Honor. 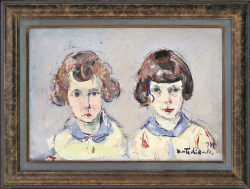 This accomplishment led to the publication of Terlikowski’s Peintre de Figures, a full-color volume of his portraits highlighting his painterly skill, the following year. 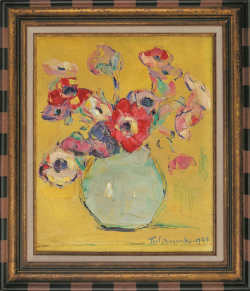 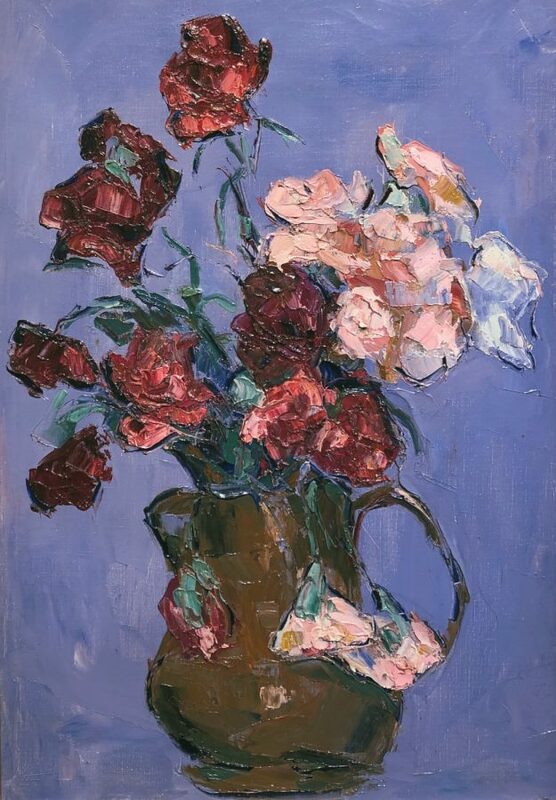 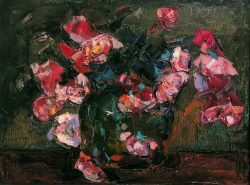 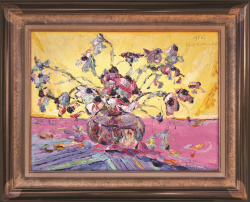 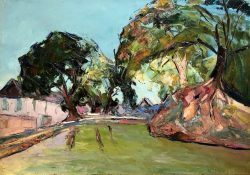 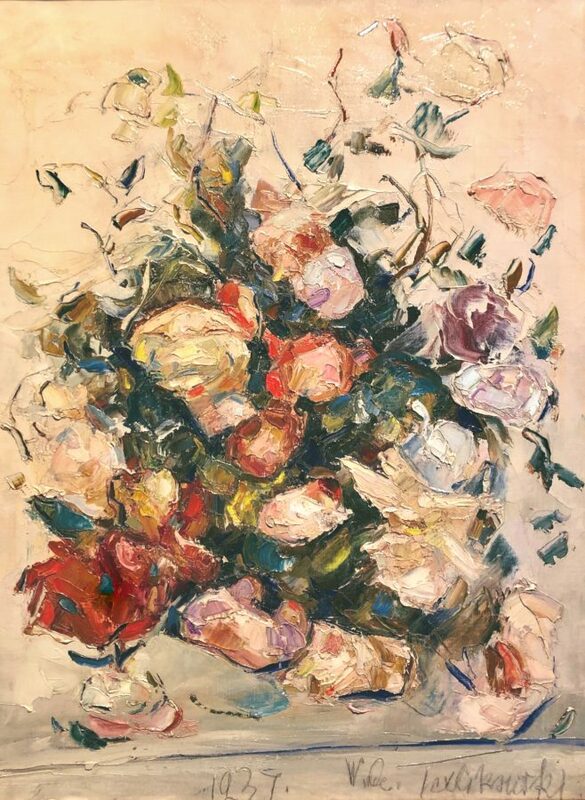 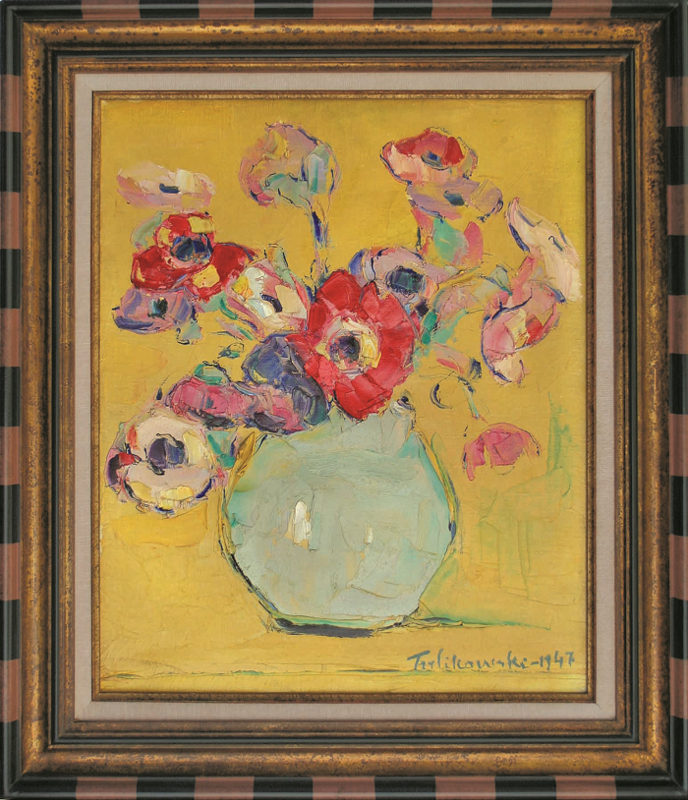 Alternatively known as “The Polish Master,” a compliment that came as a result of his first solo exhibition at Galerie Bernheim-Jeune, Wladimir de Terlikowski’s canvases are admired for their vibrant colors and strong sense of light. 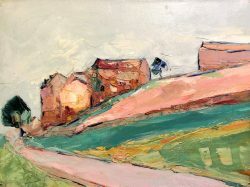 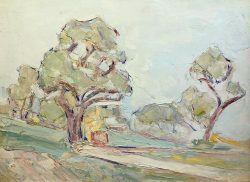 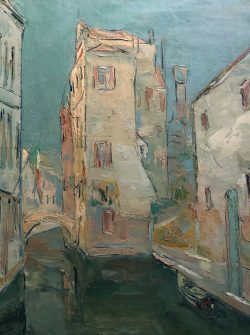 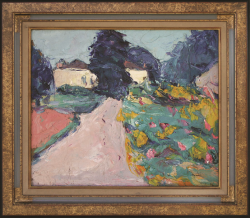 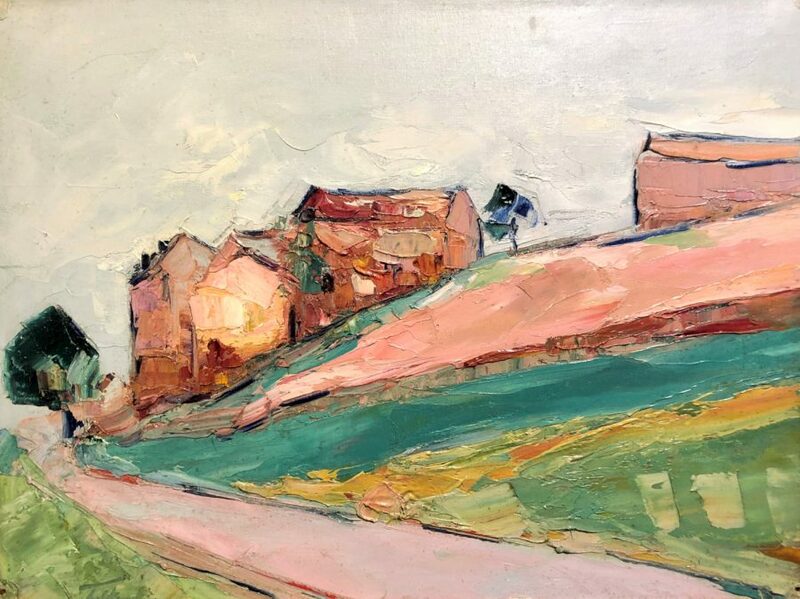 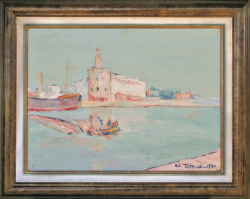 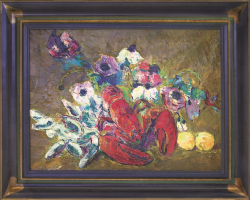 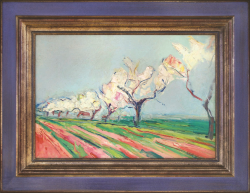 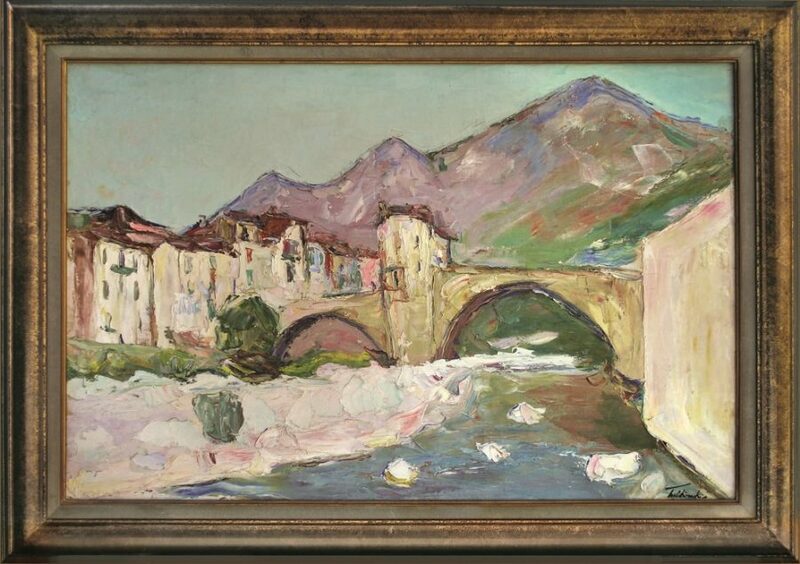 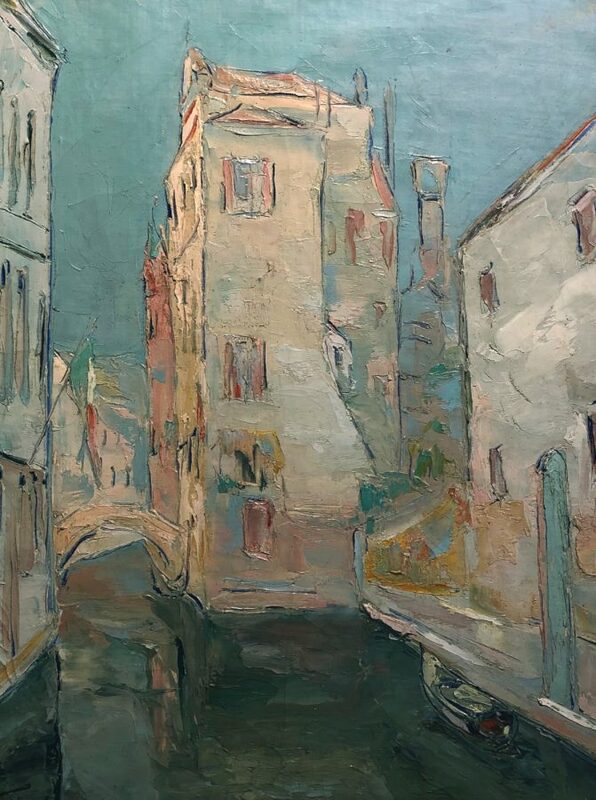 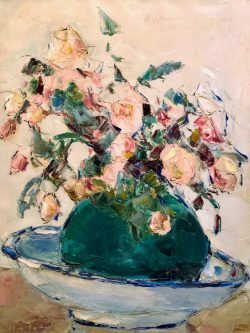 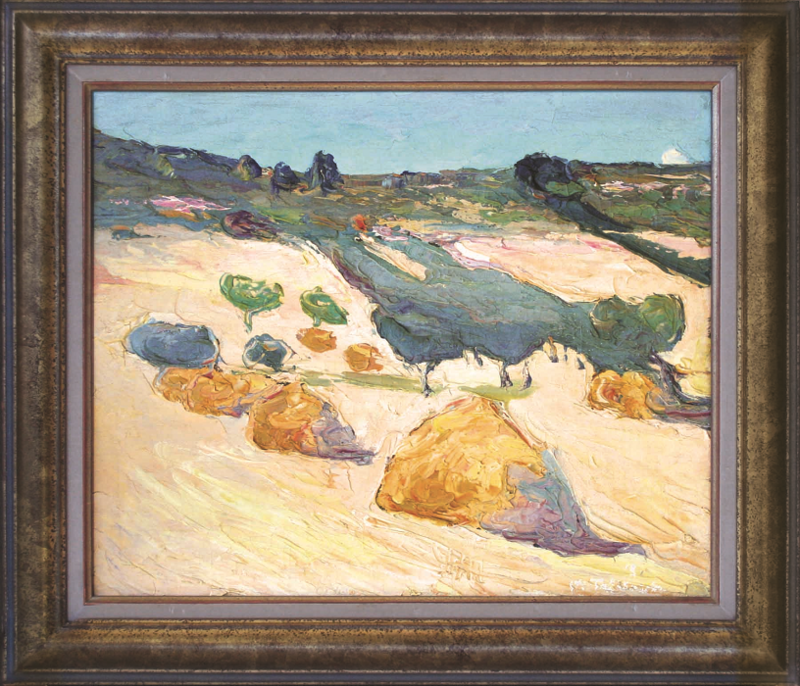 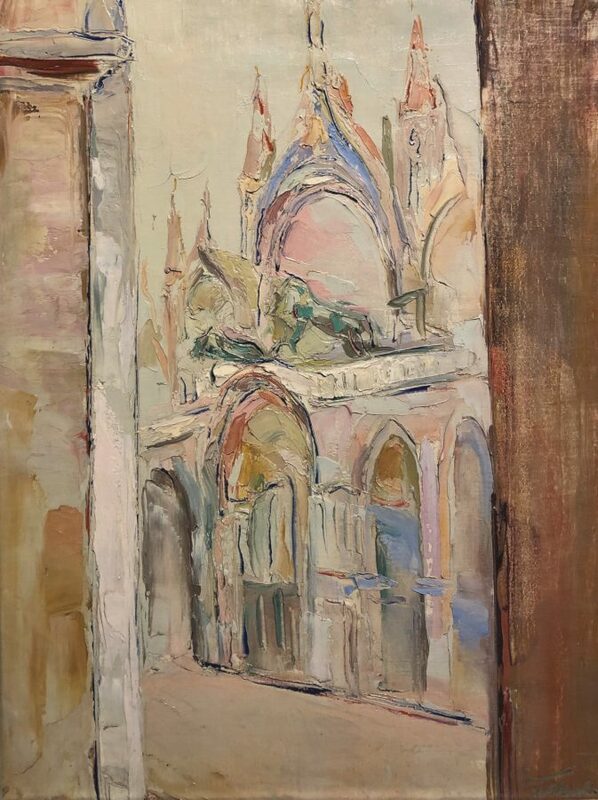 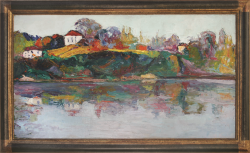 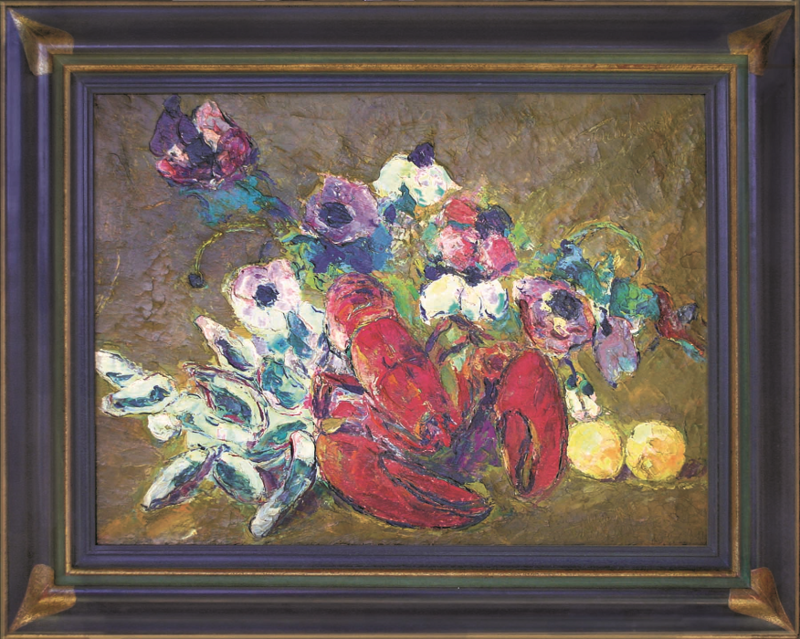 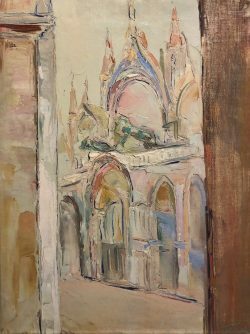 His palette was largely inspired by the environs of the French countryside and coast. 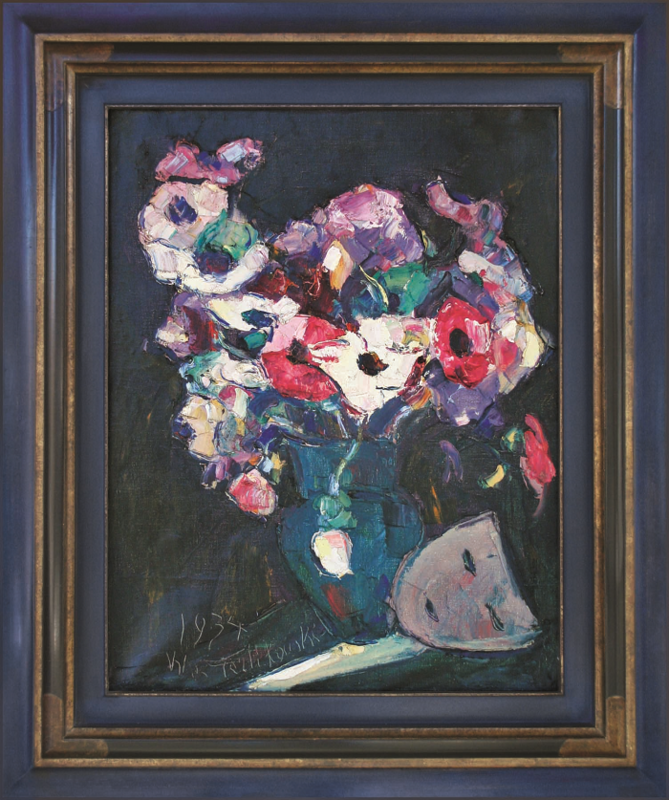 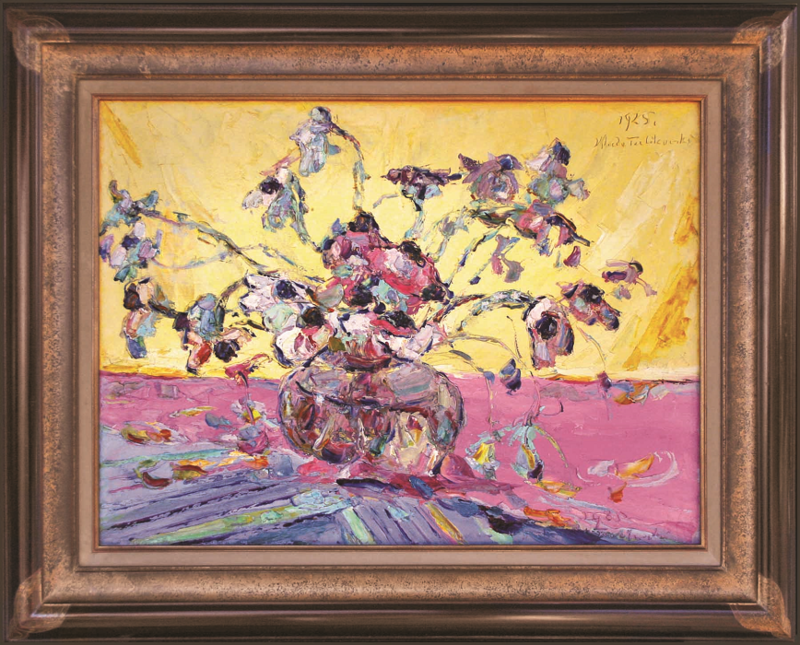 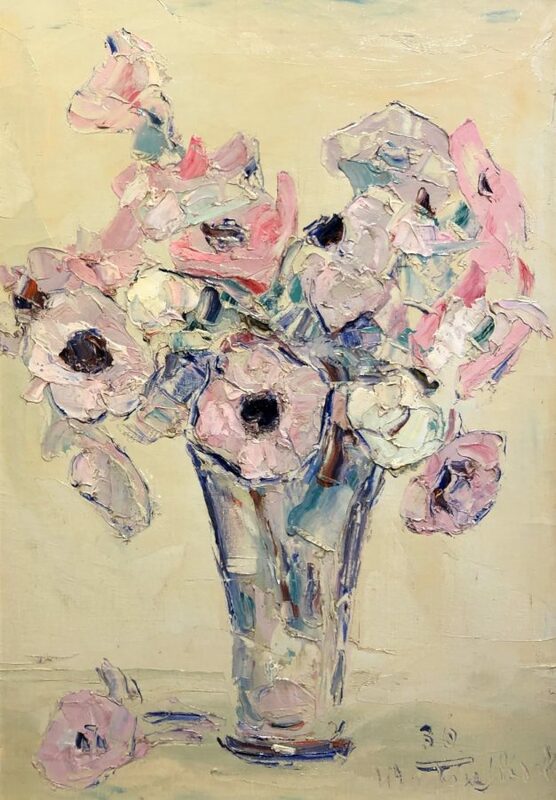 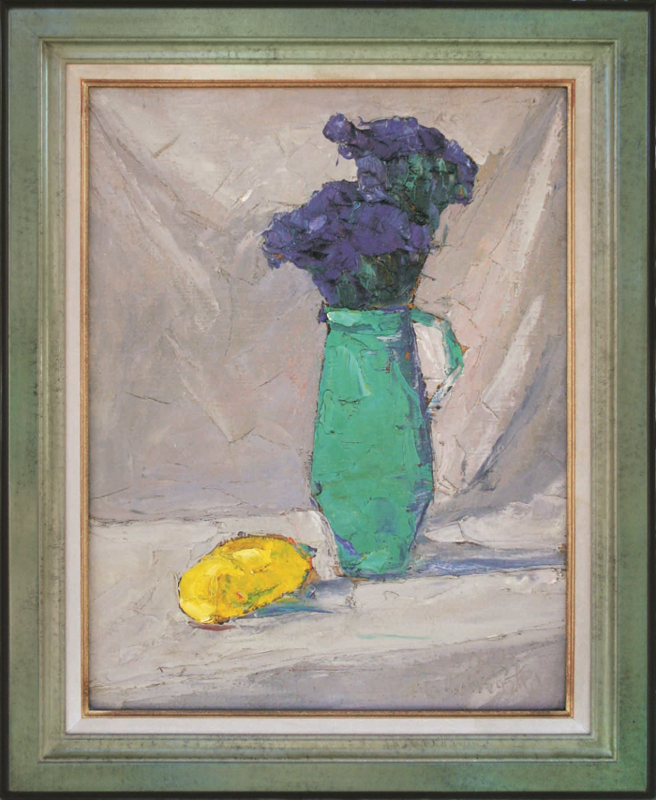 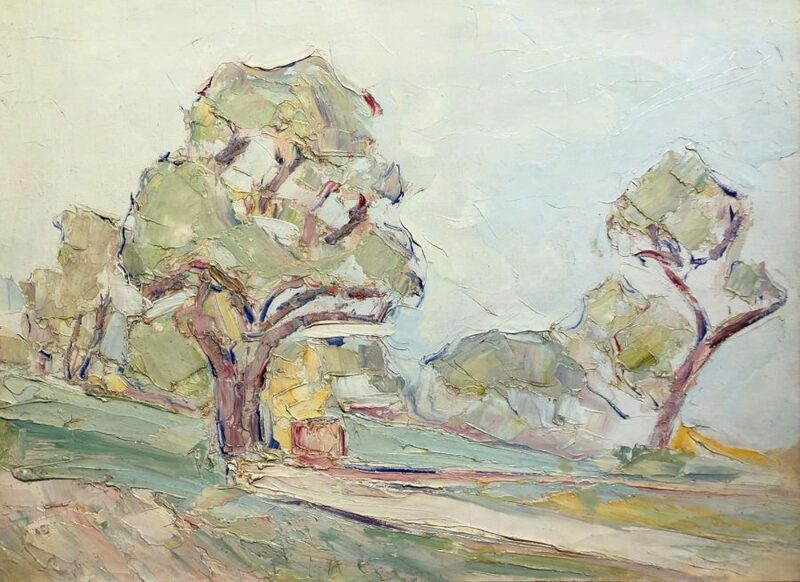 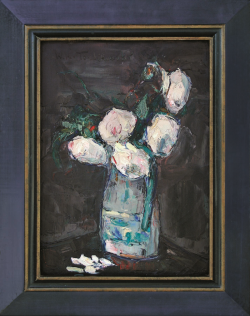 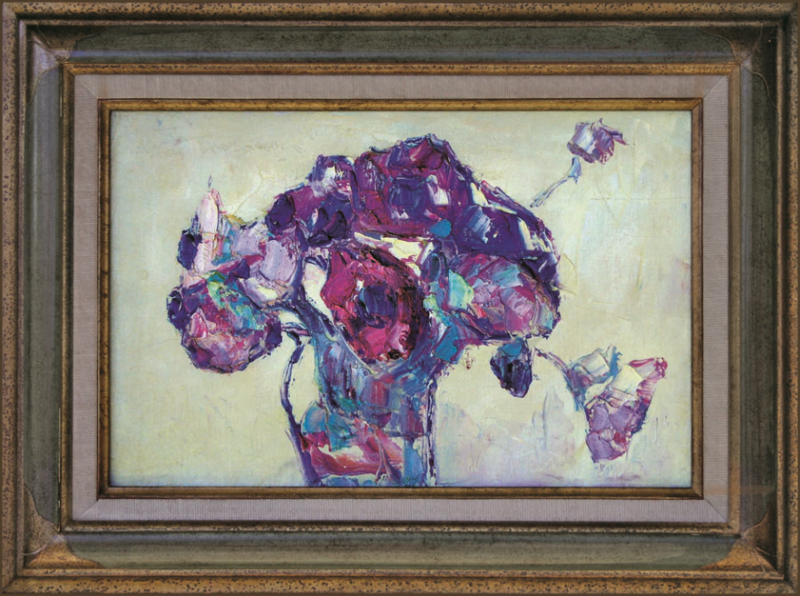 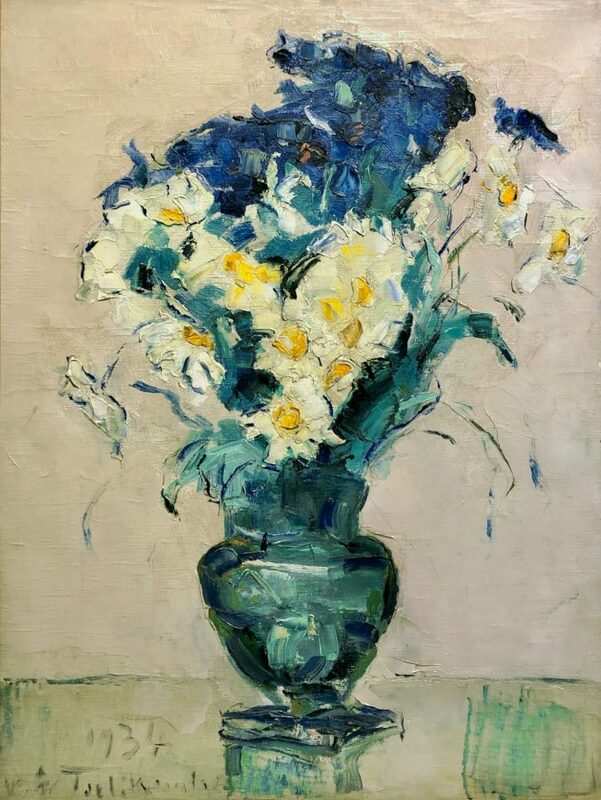 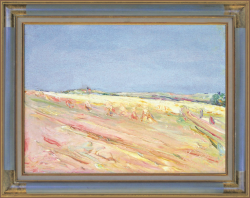 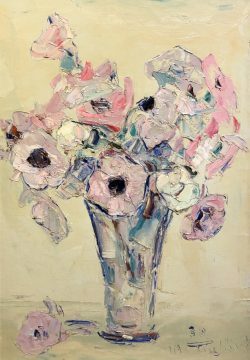 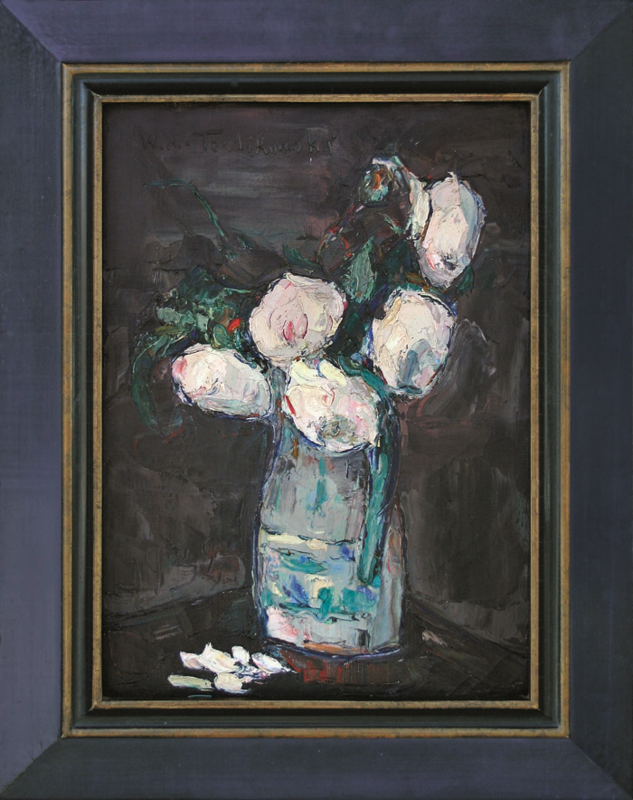 Terlikowski’s recognizable palette knife technique has earned him comparisons to Paul Cezanne and Auguste Renoir. 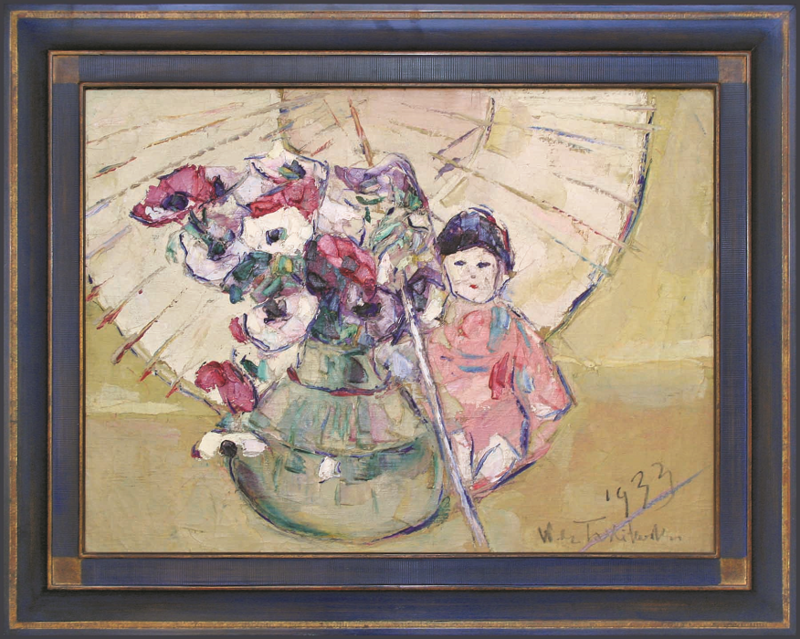 Wladimir de Terlikowski passed away in 1951. His work can be found in permanent collections of museums throughout France. 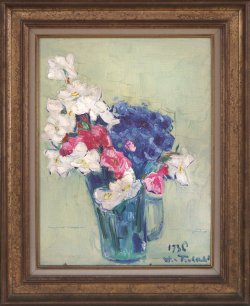 1998 – Publication of “Wladimir de Terlikowski – His Life and Art” is published thus becoming the definitive biography of this fascinating artist.